Caroline is a co-founder of The Pleiades Project, which highlights female artists and brings opera to new audiences through film. In addition to collaborating with celebrated directors as an executive producer for Pleiades, Caroline directed “24,” a film series based on the “24 Italian Songs and Arias.” Caroline starred in the short-film Così, which was recently named an official selection in the NY Indie Theatre Film Festival. Last fall, Caroline appeared in, produced, and directed two productions of the immersive concert Come Down Angels, a program of folk music by women from around the world. 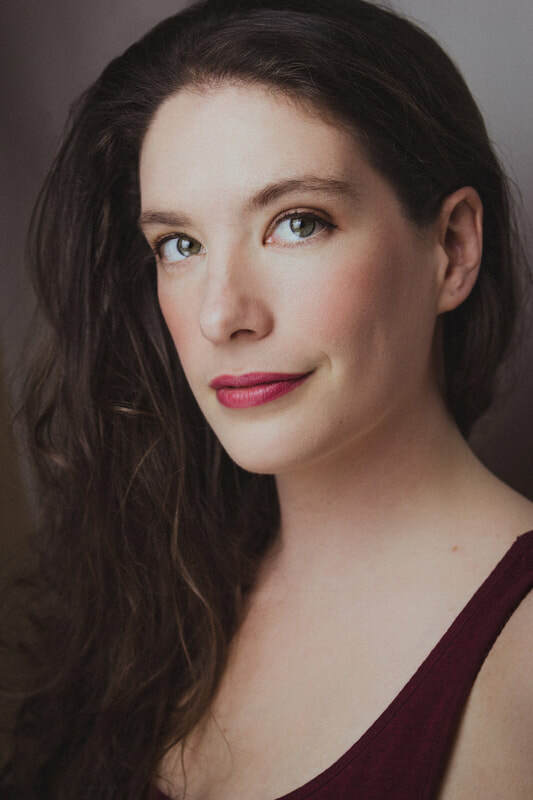 Caroline has performed with many opera companies in New York City and across America, including Ohio Light Opera, Encompass New Opera, Fresh Squeezed Opera, and Chelsea Opera. She has extensive choral experience with The Saint Louis Symphony, the American Symphony Orchestra, and the Bard Summerscape Music Festival. Caroline holds a Masters of Music in Vocal Performance from the Eastman School of Music and a Bachelor of Arts from Washington University . Caroline ist Mitbegründerin des The Pleiades Project, das weibliche Künstlerinnen hervorhebt und Opern durch den Film ein neues Publikum vorstellt. Neben der Zusammenarbeit mit berühmten Regisseuren als ausführender Produzent von Pleiades führte Caroline Regie "24", eine auf den "24 Italian Songs and Arias" basierende Filmreihe. Caroline spielte im Kurzfilm Così, der kürzlich als offizielle Auswahl nominiert wurde beim NY Indie Theatre Film Festival. Letzten Herbst war Caroline dabei, produzierte und führte Regie bei zwei Produktionen des eindringlichen Konzerts Come Down Angels, einem Programm mit Volksmusik von Frauen aus der ganzen Welt. Caroline spielte mit vielen Opernfirmen in New York City und in ganz Amerika, darunter die Ohio Light Opera, die Encompass New Opera, die Fresh Squeezed Opera und die Chelsea Opera. Sie verfügt über umfangreiche Choralerfahrung mit The Saint Louis Symphony, dem American Symphony Orchestra und dem Bard Summerscape Music Festival. Caroline hat einen Master of Music in Vocal Performance der Eastman School of Music und einen Bachelor of Arts der Washington University.